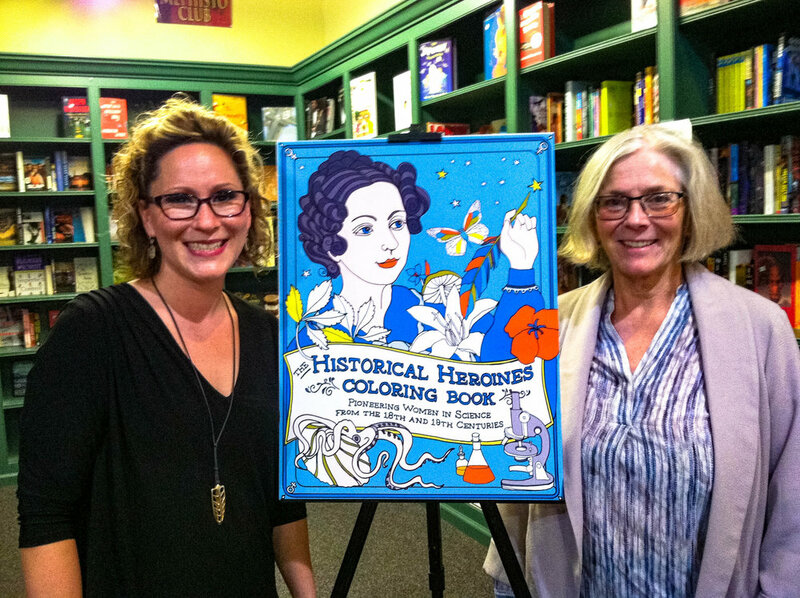 May coloring these illustrations of strong, brilliant, hard-working Historical Heroines inspire you to go forth and seize your own dreams! 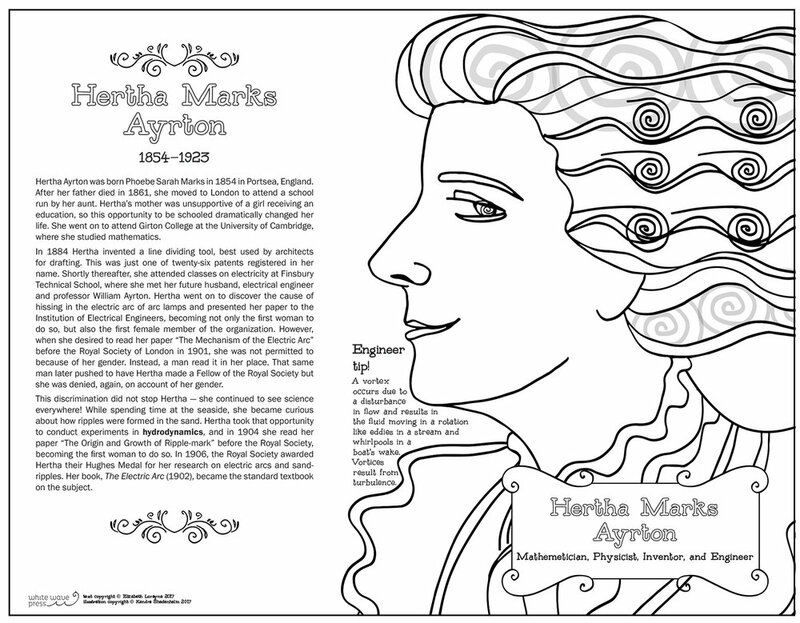 Now Award-winning, The Historical Heroines Coloring Book: Pioneering Women in Science from the 18th and 19th Centuries was born out of a desire to inspire and empower children, teens, and adults with coloring pages celebrating 31 women in science who followed their passions and let their brilliance and hard work speak for themselves – making significant impacts in our world. 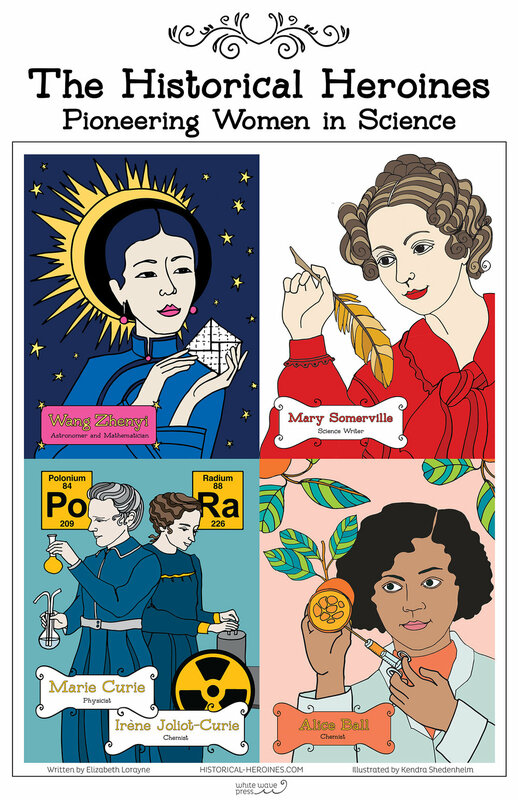 These historical women scientists serve as powerful role models and deserve to be celebrated! 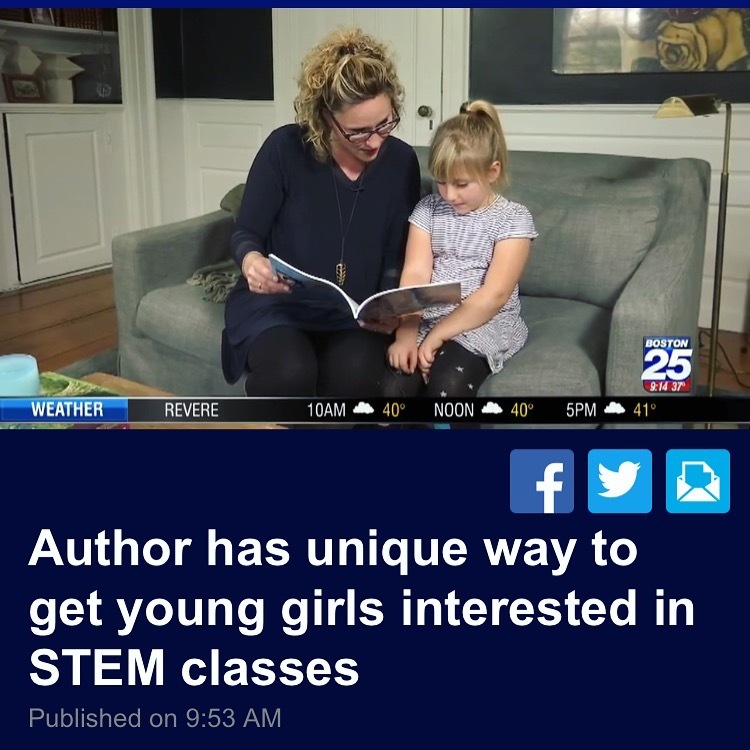 Elizabeth Lorayne of White Wave Press and the critically acclaimed Piratess Tilly children’s book series, feels passionately about creating platforms that excite children, especially females, and ignites their curiosity in nature, science, art, and writing. 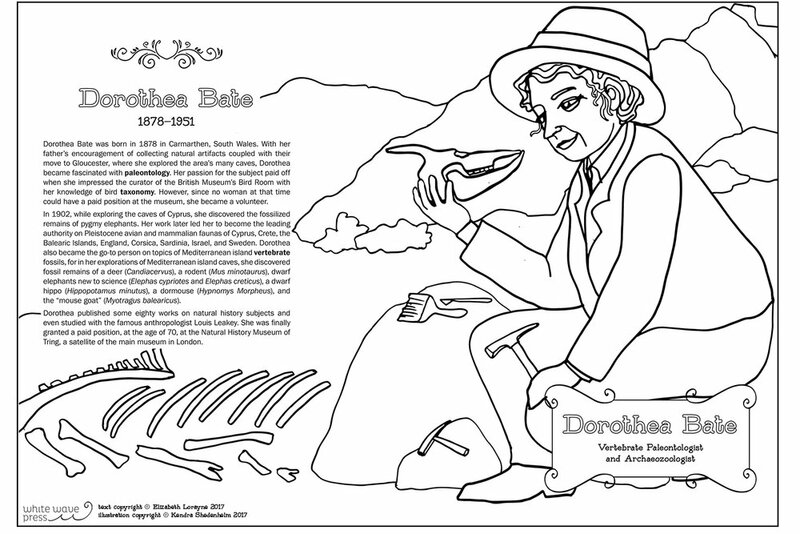 She teamed up with artist Kendra Shedenhelm and science historian Michael D. Barton to create The Historical Heroines Coloring Book. 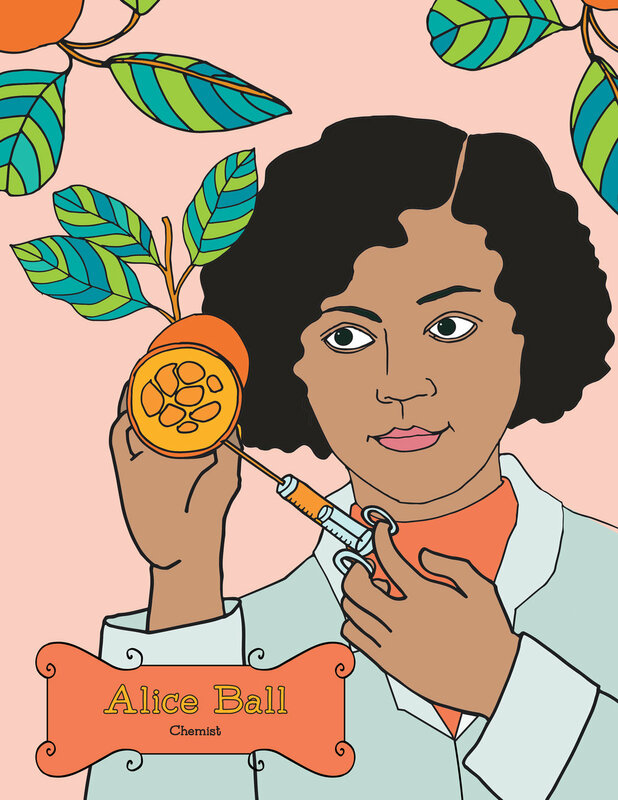 Kendra's illustrative style is as whimsical as it is fierce – a combination that honors these pioneering women in science. Michael's expertise and help with research and editing made sure that the bios were as accurate as possible. 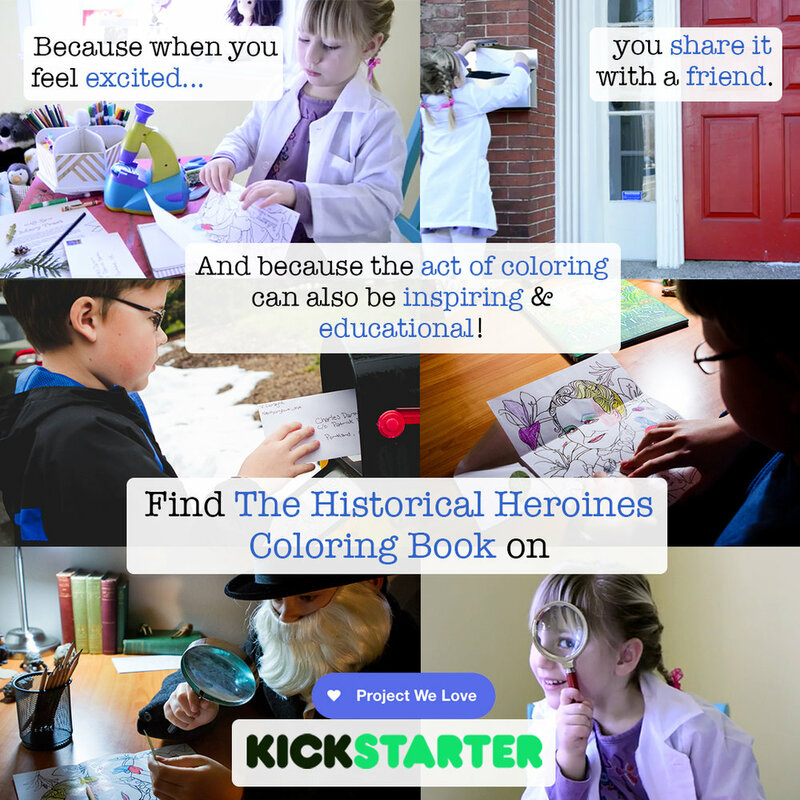 Elizabeth and the Historical Heroines team successfully ran a KickStarter campaign during Women’s History Month 2017 to help fund The Historical Heroines Coloring Book. Kickstarter loved the idea so much that they deemed it a "Project We Love!" The list of scientific fields represented include: mathematics, chemistry, botany, astronomy, physics, genetics, naturalism, botanical and scientific illustration, paleontology, geology, entomology, zoology and several more. Some of the women included are Ada Lovelace, Alice Ball, Amalie, Emmy Noether, Anna Atkins, Anna Botsford Comstock, Annie Jump Cannon, Beatrix Potter, Caroline Herschel, Dorothea Bate, Ellen Swallow Richards, Émilie du Châtelet, Genevieve Jones, Henrietta Swan Leavitt, and many more. Read the story and watch the video now! 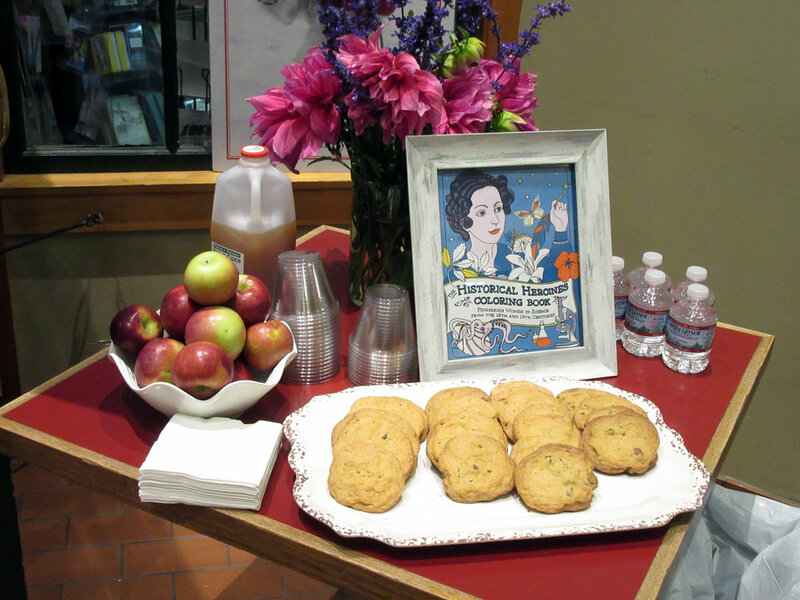 Visit the events page to learn more about upcoming events with Elizabeth Lorayne. 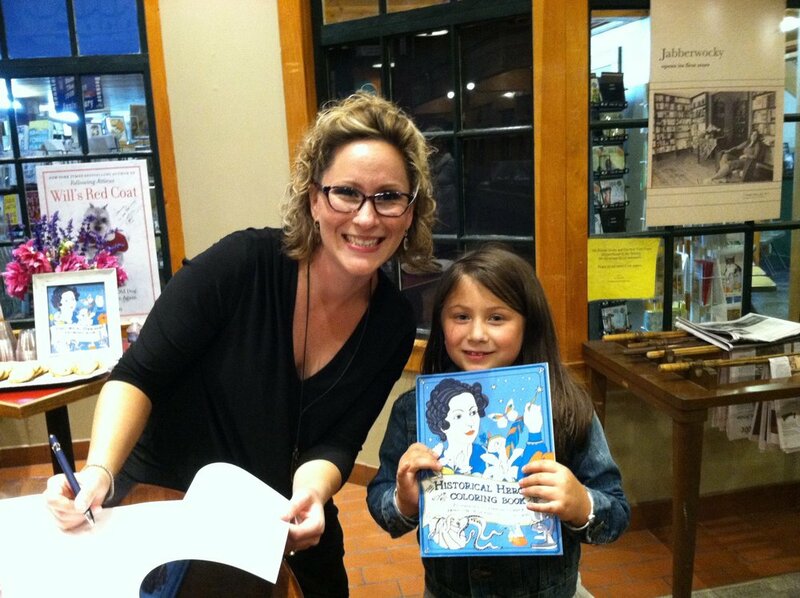 If you interested in having her come speak, or arranging a book signing, or having your very own 6"x2" unique banner shipped to your store, school, or museum to color, please email her at WhiteWavePressBooks@gmail.com. Coming Soon – 11"x17" posters for your classroom, office, playroom or bedroom! 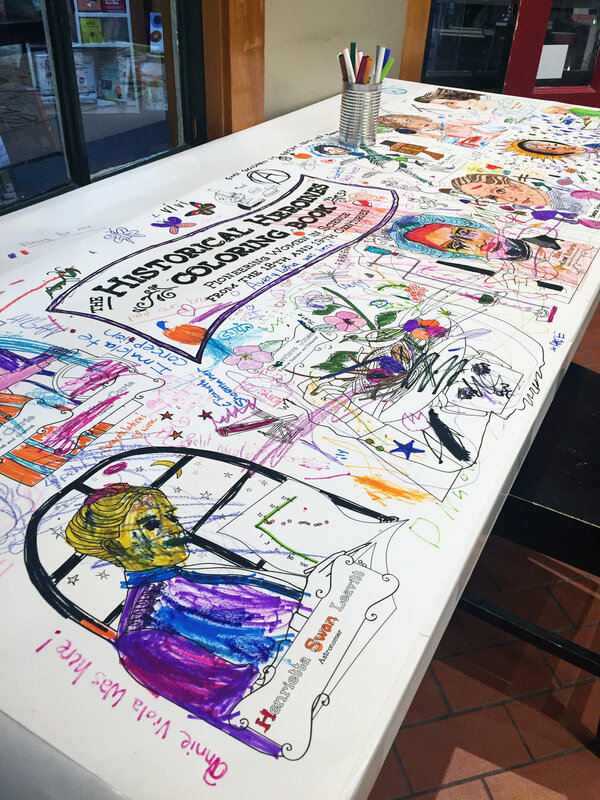 How will you color each portrait to best bring these courageous, brilliant, and inspiring women scientists to life? *For all wholesale, distributor, or other inquiries email Elizabeth Lorayne directly at Whitewavepressbooks@gmail.com.